Arrive Ujjain Railway Station / Indore Airport. Pick up and then transfer to a hotel in Ujjain, situated at the banks of river Shipra. Later visit Mahakaleshwar Temple (one of the twelve Jyothirlingas) - the most famous and venerated Shiva Temple, Bade Ganeshji ka Mandir, Sandeep Mahamuni Ashram (where Lord Krishna was educated with Balarama and Sudhama from Maharshi Sandipani), Bharthruhari Caves, Harsiddhi Temple, Mangladas Mandir and Mahakaleshwari Shaktipeeth. 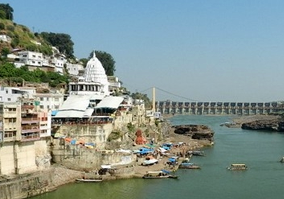 After breakfast, check out from the hotel and then depart for Omkareshwar, situated on the banks of river Narmada. 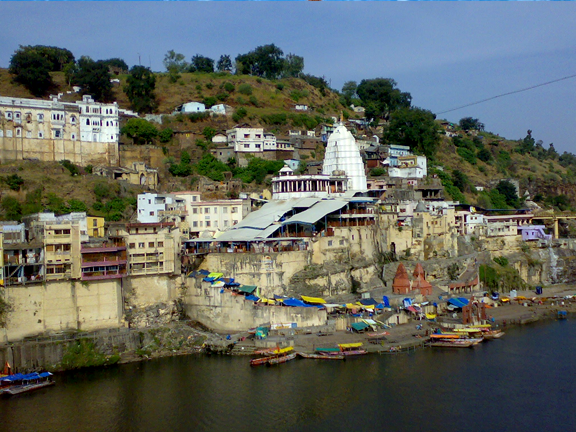 On arrival, visit Omkar Mandhata Temple and Siddhanath Temple in Omkareshwar. Later drive to Maheshwar - visit Rajarajeshwara Temple in Maheshwar, which is famous, renowned and magnificient shrine with 11 Akhanda Jyothi Deepas - the eternal flame lamps glows continuously. Drive to Indore. Check into the hotel. After breakfast, check out from the hotel and then visit Annaourna Temple and Kharjana Ganesh Temple. In the afternoon, Drop at Indore Airport / Railway station or return back to Ujjain Railway Station.